Now that the weather has shifted to cooler mornings I have begun to crave a hot breakfast. 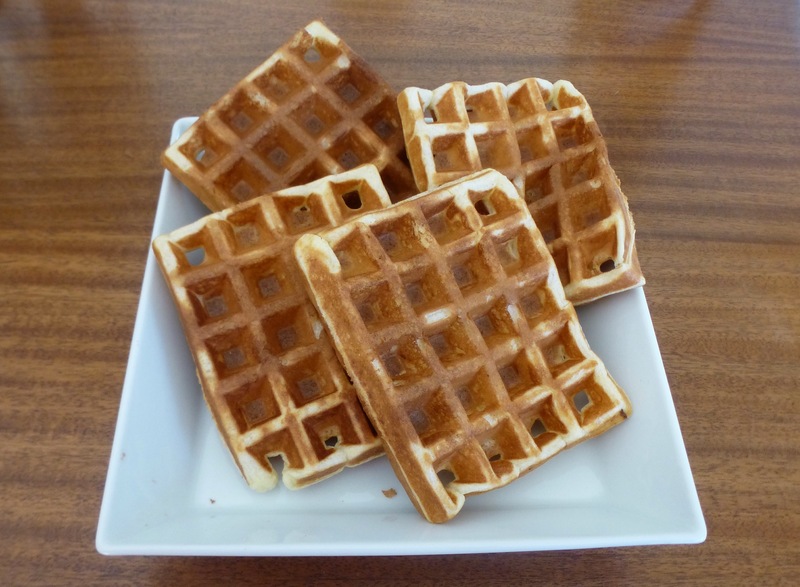 This all-purpose waffle and pancake batter is one my mother used when we were growing up. She had a heavy, well-seasoned cast iron griddle for pancakes and French toast. It cooked everything very evenly. Feel free to adapt the recipe by adding a bit of whole wheat flour, cornmeal, or buckwheat. I sometimes use almond milk in place of whole milk for a dairy-free alternative. You can also use a bit of eggnog in the batter at Christmastime. Preheat waffle iron or pan and spray with cooking spray. In a large bowl combine flour, baking powder, salt, and sugar. Mix well. Add egg yolks, milk, and oil. Whisk until wet ingredients are fully incorporated. Beat egg whites until stiff. Stir a little of the whites mixture into the batter to lighten it, then fold in the remaining beaten egg whites. Use about 1/3 cup of batter per waffle or 1/4 cup for pancakes. Yields 8-10 waffles or pancakes. This entry was posted in Breads, Breakfast, Christmas. Bookmark the permalink.